Tonight at midnight Pacific time (October 1) the nominations for the Cybils will open! If you haven’t checked out the website lately, you MUST go visit. There is an awesome new form this year to make nominating titles easier. No more sifting through pages of comments before nominating your choice. Yay! Plus, many of the categories have their panelists posted already and there area few more to come in the days ahead. 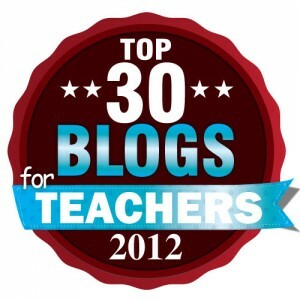 I’m getting ready to nominate my favorite titles….are you? Now that school is back in session and I am getting to know my new students as readers, it’s time for this year’s first installment of “Hot Books in My Middle School Classroom”. I have 100 students this year so their reading choices are varied. It’s been a lot of fun to sit down and talk with them about how they chose their books and what makes them want to continue reading them. Some of the most popular choices right now? Skeleton Creek is my go-to choice for dormant readers. Fast-paced, similar style to the oh-so-popular Diary of a Wimpy Kid, and online videos mean it immediately peaks their interest. My two classroom library copies are being passed around as we speak and both boys and girls are reading the series. Another popular series for my dormant readers?Among the Hidden (Shadow Children #1) by Margaret Peterson Haddix. I love, love, love handselling this one. It’s a great sci-fi series for kids who are otherwise intimidated by the tomes of science fiction in most libraries. And talk about a gateway series- most of the students go on to read the rest of Haddix’s books during the year. I already have a handful reading Found (The Missing, Book 1). You know what book has done very well for itself since getting a cover makeover? The Wednesday Wars. Since the paperback re-cover was done, my kids are eating this one up. A few students are reading this one and a bunch more placed orders for it in the September Scholastic Book Clubs. To give you a small glimpse into my classroom, here are a few more books that were ordered via Scholastic this month. 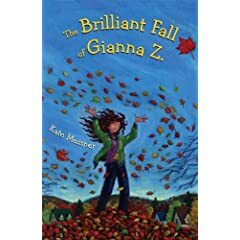 Kate Messner’s The Brilliant Fall of Gianna Z. is that book and I can’t wait to pass it on to my students! Don’t misunderstand me- this isn’t some fluffy novel. Messner deals with some heavy subjects in the novel, but they are issues many of my students deal with on a daily basis. Gianna is a cross-country runner, a gifted artist, and a free spirit. She doesn’t do very well with deadlines so when her science teacher gives the class a month to complete a leaf identification she procrastinates. When the two week deadline approaches and Gianna has very little done she learns that she won’t be able to run in the cross-country sectionals if the project isn’t completed and handed in by the end of the school day on the due date. Even worse, glittery mean girl Bianca will get to run in her place! Gianna has the best of intentions. She means to finish the project on time but life keeps getting in the way. Her best friend Zig is starting to show interest in her as a little more than just a friend. Family obligations keep popping up left and right, like going to the Italian market in Montreal. Her father is a mortician, and she has to comfort a classmate who has just lost her grandmother. Calling hours are held at the house, causing even more of a distraction. Plus, Gianna’s mom is her exact opposite- organized, a health-nut, and sort of Type-A. The story follows Gianna through one particularly tumultuous week in her life. While she should be working in her leaf project she is overwhelmed by her grandma Nonna’s forgetfulness. Her mother’s refusal to discuss Nonna’s forgetfulness puts a lot of pressure on Gianna, as she is particularly close to Nonna. What really hit home for me was Gianna’s relationship with Nonna. Nonna’s early symptoms of Alzheimer’s broke my heart. I’m not too proud to admit I cried more than once toward the end of the book. But too many of my students are dealing with similar issues and I am so happy to find a book that voices the whirlwind of emotions they are feeling. And as an English teacher, I love the repeated references to Robert Frost’s poem, “Birches“. I especially love that the poem is not only referenced and quoted numerous times, but that it is also thoughtfully discussed throughout the book. What a great introduction to Frost this will serve as for many middle grade readers! It’s obvious Messner deals with middle schoolers on a daily basis because her characterizations are spot-on. I highly recommend The Brilliant Fall of Gianna Z. to all classroom and school libraries. And attention teachers- this would make a fantastic read-aloud! *Note- I have never met Kate Messner, but we are Twitter friends and I follow her blog. We have a lot in common as we both teach middle school Language Arts/English and I’ve always enjoyed her online writing. This week I touched base with a former student whom I taught two years ago. When I met her, she was a nonreader. In fact, I think the words, “Reading is boring” came up more than once on her beginning of the year literacy profile. I worked very hard that year to help her find her niche and books she liked. We started with some easy books and she would only read those related to fashion in some way. Slowly but surely we built up a rapport. She read every fashion related book I could get my hands on. By the end of the year she was a reader. We made a summer reading plan and she had a page-long list of books she was looking forward to reading. I had done all I could- I sent her off to middle school and crossed my fingers that the AR reading requirements wouldn’t turn her off to reading. A few months later she contacted me via email, asking for more book recommendations. She even shared some recommendations with me! She was struggling with AR a bit, but we managed to find some titles she enjoyed. She was also reading non-required books and becoming even more of a reader. Now, she is in 8th grade. We spoke the other day and after exchanged pleasantries she asked for some book recommendations. “Well, what kind of book do you feel like reading? Are you still into realistic fiction?” I asked. Oh, and my recommendations? The Hunger Games, Chains, What I Saw And How I Lied, and When You Reach Me. The Common Core State Standards Initiative released its first draft of college and career readiness standards in Language Arts (and Math). You have a chance to offer your feedback on the proposed common standards until October 21st. October 1st marks the beginning of the nomination period for the Cybil Awards! The Cybils Awards, or Children’s and Young Adult Bloggers’ Literary Awards, are a series of book awards given by children’s and young adult book bloggers. Co-founded by Kelly Herold and Anne Boles Levy in 2006, the awards were created to address an apparent gap between children’s book awards perceived as too elitist and other awards that did not seem selective enough. Books are nominated by the public in nine genres of children’s and young adult literature: Easy Readers, Fantasy & Science Fiction, Fiction Picture Books, Graphic Novels, Middle Grade Novels, Non-Fiction Middle Grade/Young Adult Books, Non-Fiction Picture Books,Poetry, and Young Adult Novels. Nominees go through two rounds of panel-based judging before a winner is announced in each category. Finalists and winners are selected on the basis of literary merit and kid appeal. Start making your lists and decide what you want to nominate in each category. This is your chance to participate in the process. You must, must, must watch this video. Nancie Atwell responds to the recent NY Times article regarding Reading Workshop. I found myself wanting to shout, “Yes, yes, yes! You go, girl!” while Nancie spoke. This video should be mandatory for all parents, teachers, administrators, and school officials.